Red Dead Redemption 2 isn't out until October, but bit by bit we're learning a little more about the game and its various personalities as the days go by. We still have plenty of questions about what to expect from the Western-themed adventure, but Rockstar has been kind enough to share some of the character profiles with us ahead of the game's release. To kick things off, we have Dutch van der Linde, the gang leader you'll be working with in this game, whereas he was the antagonist of Red Dead Redemption. My, how things have changed, right? Hosea Matthews is Dutch's friend, but that totally doesn't make him a good person. He's a little older than the rest of the gang, and that's about all we know for now. You can see the rest of the family, along with their unique quotes attributed to each member, below. 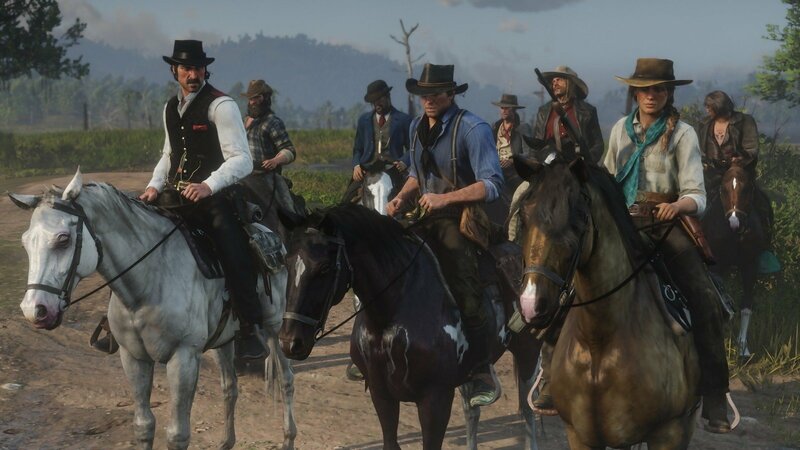 Rockstar was nice enough to show us faces and names, sure, but that's about all we know right now still. That's a lot of faces and names to memorize, right? Luckily, we don't have to wait very much longer to learn more about these characters. Red Dead Redemption 2 is coming to Xbox One and PlayStation 4 on October 26, 2018. Keep it locked to Shacknews for all the tidbits you can handle surrounding the upcoming game, and we'll make sure you're in the know every time Rockstar sneaks out some additional character profiles or other important details. We're just as excited as you are!